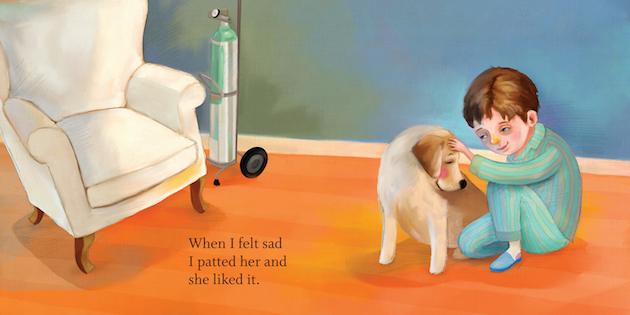 Inspired by Poppy the Therapy Dog at Canuck Place Children's Hospice in Vancouver, The Dog, by Helen Mixter and Margarita Sada, shows how the uncomplicated love and dedication of a dog can make anyone feel better—particularly a child who is small and vulnerable. 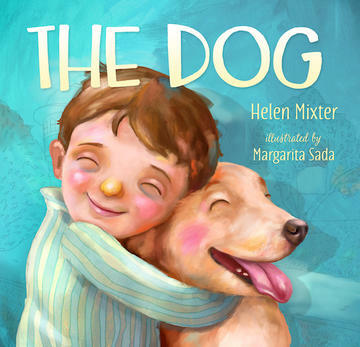 Through beautiful, simple illustrations and words, The Dog shows how one animal helps a young boy who is ill. She is his comfort, his companion, and his friend; when he’s unhappy, she places her paw on his hand to show him she’s there. 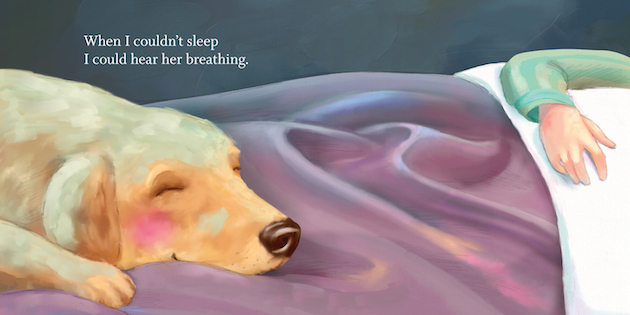 The Dog is a story for young children, and for anyone who has ever owned a pet. 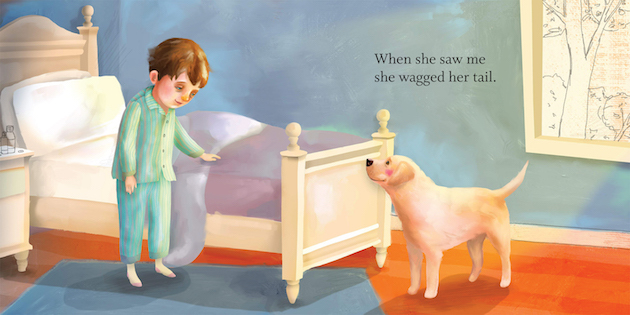 But most of all, it shows how important animal companionship is for children. The warmth of animal friends helps make life worth living, especially when times are tough. 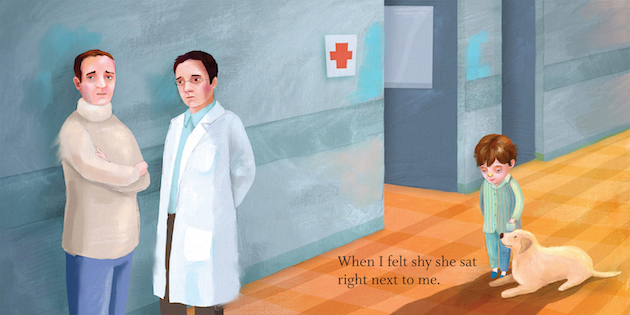 Partial proceeds from the book will benefit Canuck Place. 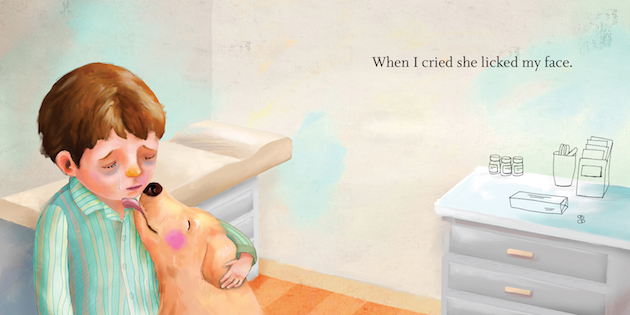 We're pleased for feature some beautiful illustrations from the book.